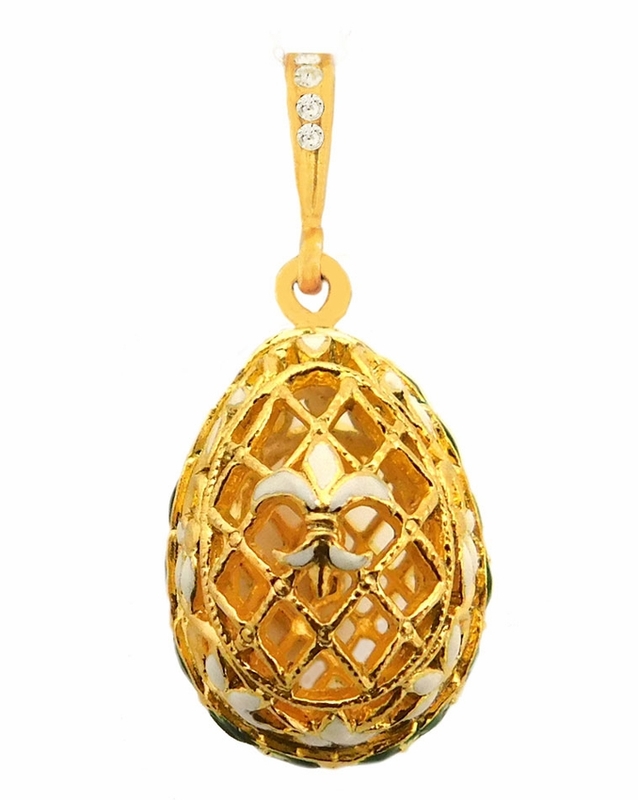 Filigree Egg Pendant "Fleur-de-lis", Silver, Gold Plated, 3/4"
Faberge Style Filigree Egg Pendant "Fleur-de-lis", Silver 925, Gold Plated. Size with the bail 1", size without bail 3/4"
Filigree Egg Pendant w/Cross. Silver, Gold Plated, 3/4"